We got you covered! For help, please call our award-winning support team 24/7 at (480) 463-8836. We can add extra social links to any existing platform for you, easily! You aren't able to add those, by yourself. But we're able to set up any custom social icon that you want. And that means the possibilities don't just stop with additional Facebook profiles! Do you have your own custom, social icons that fit the branding of your own site? 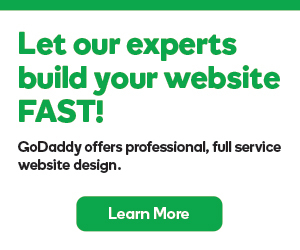 We can use those, instead of the standard GoDaddy Email Marketing social icons. Do you want to add a social icon that's not listed as an option? Send us over an image for the icon, and we'll set you up, right away. We can add extra social icons for you, at any time -- whether they are additional profiles for existing options, or your very own custom icons, for standard platforms.